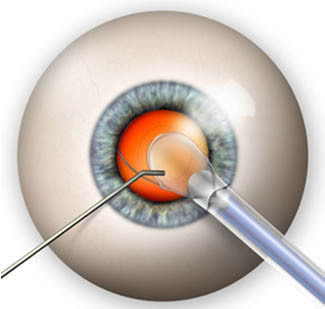 The procedure done in Clear Lens Extraction (CLE) is similar to cataract surgery, wherein natural crystalline lens is replaced with an artificial lens correcting the vision problem of patient. Most of the times, the artificial lens corrects vision for distance only if mono focal lens is chosen. In that case, usually person needs a pair of reading glasses for near distane work. There are variety of lenses available which correct both near & distance & astigmatism related refractive error of eye. The selection of lens is purely based on patient lifestyle & recommendation by treating surgeon.Clear Lens Extraction (CLE) procedure can be done for patients who do not have cataract but unfit for Lasik Surgery for vision correction. These patients can have farsightedness or nearsightedness combined with astigmatism. CLE even corrects high myopia & hyperopia that can not be done through lasik laser surgery and phakic IOLs.